Second Nature, in partnership with the U.S. Green Building Council (USGBC), recently announced the winners of the Climate Leadership Award. Delta College was recognized for implementation of an Energy Optimization Incentive Program in collaboration with its utility provider, as well as a sustainability-immersive study abroad program, and climate adaptation and resilience learning sessions. The University of Illinois at Urbana-Champaign was honored for using power purchase agreements to reduce more than 17,000 metric tons of CO2 annually, creating a task force to address climate resilience concerns, and enhancing classroom learning through a sustainability mentorship program. Six institutions received honorable mention. Waste Management of Virginia recently awarded the college $3,500 that it will use to install four to five additional water filling stations on campus, joining nine others already in place, in an effort to help reduce the amount of plastic water bottles used. Earlier in January, the university opened an indoor bike room that has indoor parking available for 60 bicycles, four showers, lockers, a fix-it station and water fountains with bottle fillers. The Xerces Society has recognized the university for providing safe habitats for bees and other pollinators on campus. The university will host pollinator workshops, awareness events and utilize a committee for spreading awareness about bees. 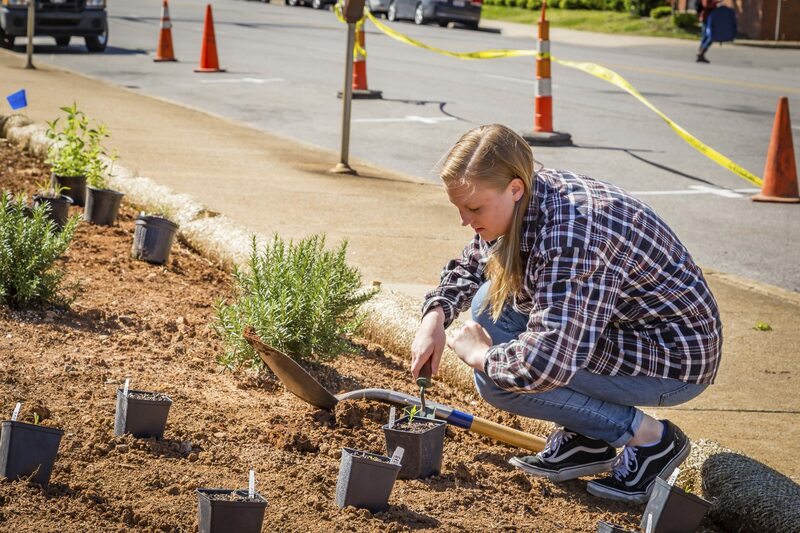 The certification also ensures Appalachian does not use bee-harming pesticides on campus and that a list of the campus pollinator plants is made available. Green and white paint now mark a formal bike route on campus that was previously used by cyclists as a common route to avoid pedestrians. A collective of six schools of public affairs recently announced the launch of the new Public Affairs Diversity Alliance that aims to encourage and sustain a pipeline of candidates for faculty positions in criminal justice, policy and public administration. American University School of Public Affairs, which initiated and founded the Alliance, will chair the Public Affairs Diversity Alliance for a two-year term. 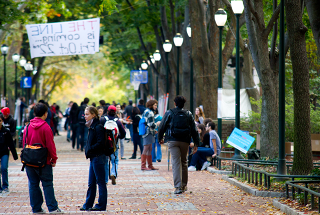 Five other schools have joined as inaugural members: the Maxwell School of Citizenship and Public Affairs at Syracuse University, the Ford School of Public Policy at the University of Michigan, the Sanford School of Public Policy at Duke University, the Price School at the University of Southern California, and the Evans School at the University of Washington. The university's Jenkins and Nanovic Halls have low-flow faucets in bathrooms and kitchens, high-efficiency shower heads and toilets, energy-efficient LED lighting throughout, and high-efficiency heating and cooling systems. Spaces such as classrooms, conference rooms, lounges and lobbies have lighting controls with dimming capabilities. The Global Cluster on Higher Education and Research for Sustainable Development was initiated by the International Association of Universities to advocate for the key role that higher education institutions play in achieving Agenda 2030 for Sustainable Development. Consisting of 16 lead universities, the cluster has two main objectives: to serve as a resource and networking hub for universities around the world, and to be a global voice for higher education in sustainable development, informing international organizations and national governments about the role of universities in achieving the SDGs. 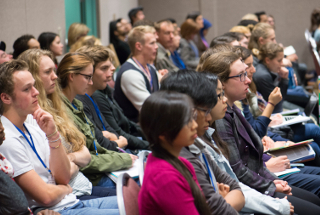 The Georgetown Global Cities Initiative is a network of university faculty and students who share ideas and research on global urbanization. It includes about 70 Georgetown faculty from disparate disciplines who work on the relationship between cities and climate change; governance and diplomacy; history and the humanities; health; sociology; digitization; infrastructure and numerous other issues. The U.S. Environmental Protection Agency's Food Recovery Challenge highlights outstanding accomplishments in preventing and diverting wasted food. California State University, Northridge and University of Texas at Arlington, Texas were 2018 national winners. In addition to national awards, EPA regional offices across the country provided recognition to Food Recovery Challenge participants for outstanding accomplishments in preventing and diverting wasted food. Regional winners include Boston College, Haskell Indian Nations University, Kansas State University, Skidmore College, and the University of Pittsburgh. 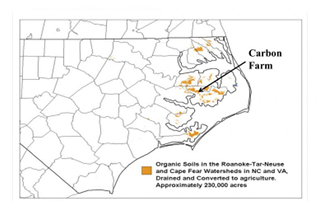 After recently acquiring the rights to a 10,000-acre farm in eastern North Carolina, the university began a two-year pilot program on 300 acres of the land. University researchers aim to identify the best ways to restore the former farm fields to their original wetland state and measure and verify how much carbon the land's saturated peat soil can store. If enough carbon credits can be generated at a cost-effective rate, production will then expand to the other 9,700 acres. 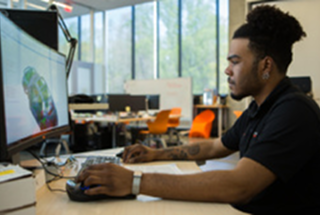 Clemson University students are partnering with ExxonMobil to develop an ultra-efficient, lightweight, highly durable sustainable concept vehicle. The project emphasizes the integration of sustainability in the entire product lifecycle – from manufacture and operation with circular economy considerations. 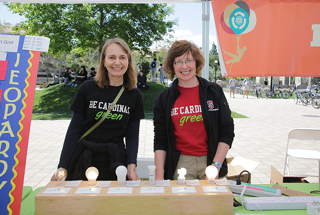 All students and employees were invited to vote on a shortlist of projects selected by the school’s Carbon Neutrality Plus committee. All projects were presented and voted on through a video contest. The winning projects included a solar power project in India and a conservation project in Canada. (Australia) In response to feedback from students, staff and stakeholders who wanted to see the university increase its investment in renewable energy, the university recently signed a contract to purchase wind, solar and hydroelectric energy that will cover 100 percent of the university's electricity needs across its Newcastle and Central Coast campuses. 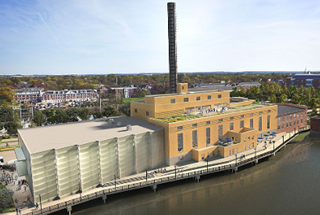 The decommissioned Blackhawk Generating Station is projected to open in fall 2019 as a 120,000-square-foot student recreation center and student union. One of the aims of the renovation project is to showcase sustainable redesign of the historic building. The building, which was originally built in 1923, was remodeled in 2016. The project highlighted wide-ranging energy efficient building systems and extensive construction activity pollution protection. In total, Western’s efforts in all of its LEED facilities has led to a total cost avoidance of over $2.5 million. The university's Sustainability Institute for Regional Transformations (SIRT) program launched the grant program this fall to support the advancement of research, teaching, creative activity and outreach on topics of sustainability. 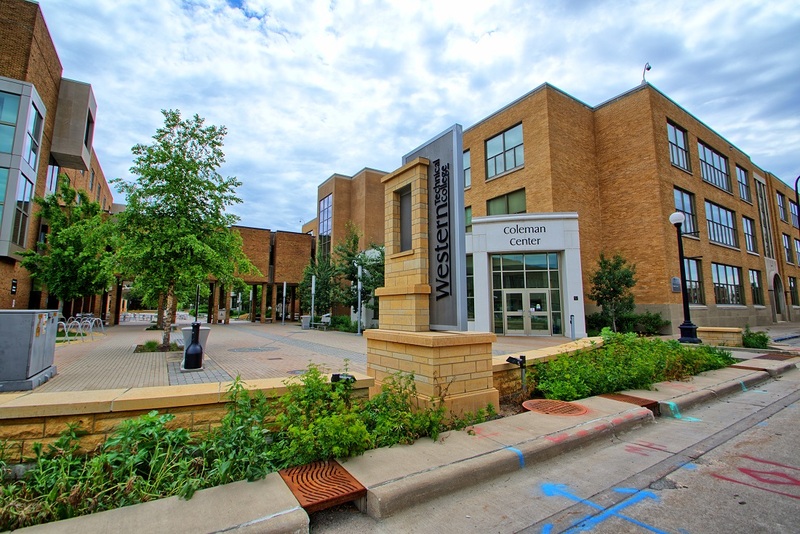 Faculty members from UWO’s three campuses could apply, and in its inaugural year, two groups of applicants will receive $7,500 each. Beginning this semester, the university began using compostable plant-based bioplastic packages for food in the Memorial Union. The TIAA Difference Maker 100 recognizes people who devote their lives to improving the world and shaping a better future. Of the 100 people recognized, Elizabeth Swiman at Florida State University was honored for her work creating a food recovery program that resulted in 40,000 pounds of donated meals, a recycling project that has collected 100-plus tons of recyclables and a low-cost bike initiative for students. Eva Bornstein at Lehman College was recognized for creating culturally engaging performances for underserved audiences at Lehman Center for the Performing Arts in the Bronx. Those recognized will receive $10,000 to help support the organization where they are making a difference. The new interdisciplinary Master of Science in Environmental Metrology and Policy degree, offered nights and weekends, is designed to equip scientists and engineers to measure and analyze potential hazardous substances in the earth’s atmosphere or on its surface so they can make sound environmental decisions. Grossman Hall, a nearly 16,000-square-foot building that opened in September 2017 is now LEED Platinum. The hall features a 48 percent reduction in energy use due to a high-performance building envelope and an efficient HVAC system with energy recovery. Low-flow fixtures contribute to a 45.5 percent reduction in potable water use in the building. 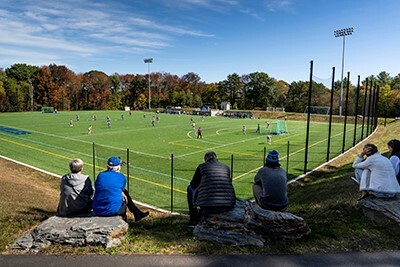 Across campus, the college’s lacrosse, soccer and practice fields in the outdoor competition center have received certification through the Sustainable SITES Initiative for including stormwater runoff filtration and an irrigation system that conserves water by automatically adjusting to precipitation and evaporation rates with the use of rain and soil sensors. The college recently switched from plastic straws to biodegradable straws through an agreement between Student Government, the college’s Mission-Aligned Businesses, and Sustainable Enterprises. Additionally, in an effort to reduce single-use cups, one of the college's coffee stations now offers free coffee to students and employees who bring their own reusable cups. The recently completed lighting retrofit of the university's Carl and Ruth Shapiro Campus Center is expected to reduce the university's annual lighting costs by over $32,000 annually. The Russell Family Foundation awarded $2.3 million in grants in the Pacific Northwest region for programs that focus on outdoor environment and community empowerment. Of that amount, $18,000 went to Western Washington's SEA Discovery Center to engage youth in hands-on marine education about the local environment. The grant will expand its curriculum for middle school students specifically. A $5 million gift from the Ecolab Foundation will support environmental sustainability research and education. A cornerstone of the Ecolab Foundation gift is $2 million to establish an endowed chair for the Institute on the Environment. The foundation will also invest more than $1 million in undergraduate scholarships in science, engineering and related environmental and sustainability-focused majors and minors, providing renewable awards of $7,500 for diverse and talented students beginning in their sophomore year. Through the Institute on the Environment, the gift also will support immersive student experiences with global and local partners focused on energy, water quality and supply, sustainable development and public health. 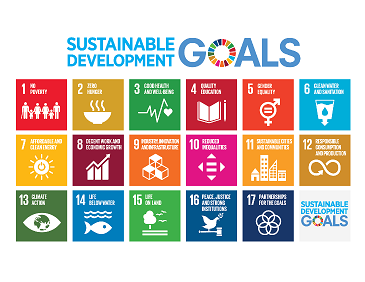 The Big Tent Consortium, a global network of universities and their community partners, has issued a declaration and call to action to its members to commit to collaboration, cooperation and action on the Sustainable Development Goals. The Big Tent Consortium is composed by The Talloires Network, the Global University Network for Innovation and the UNESCO Chair in Community Based Research and Social Responsibility in Higher Education. Sterling College recently announced the new Robert B. Annis Center for Ecology, thanks to a $350,000 grant from the R.B. Annis Educational Foundation. Construction will begin in spring 2019, and $50,000 of the award will be for scholarships for ecology students. At its December meeting, the university's Board of Trustees approved approximately $10 million to be invested in new funds involved in research and activities that reduce carbon emissions and greenhouse gases, promote social responsibility and seek solutions to climate change. 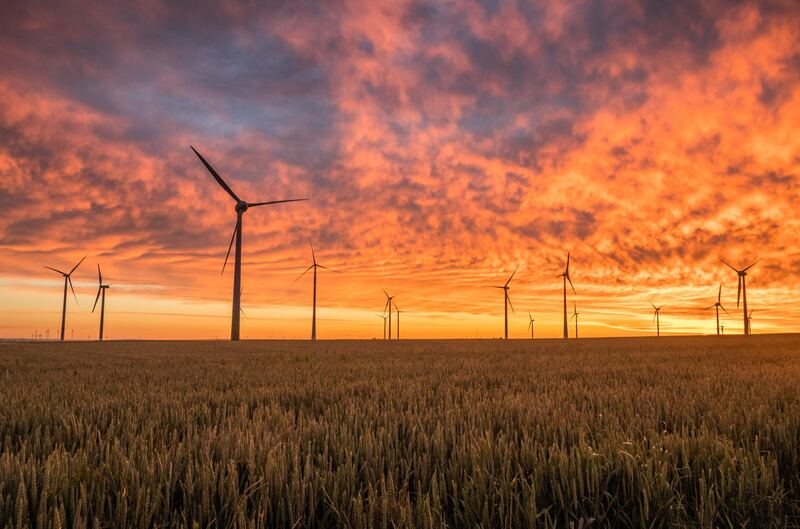 Under the new approach, Gonzaga also will introduce new tools to measure and evaluate current and prospective fund investments against socially responsible investing criteria, and use such tools and criteria to inform decision-making. A new partnership between the university's Department of Nutrition and Health Care Management and a local nonprofit is addressing local food insecurity through the new Grab and Go Meal Program. 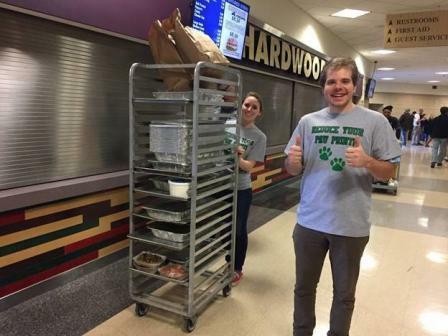 Students in the department use the nonprofit's Food Recovery Kitchen to prepare hot meals that are paired with donated food and distributed to those in need. 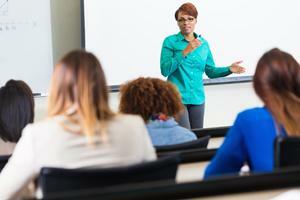 Six U.S. Democratic senators wrote to the U.S. News & World Report urging it to adopt a methodology that more strongly considers a school's diversity, inclusion and representation. The well-known ranking system recently changed its methodology to reflect college's role in boosting social mobility, however, the senators contend that the ranking still fails to sufficiently reward enrollment of historically underrepresented students. Two statements were recently adopted by the university's Board of Trustees: an Ethical Investment Framework, which seeks to actively incorporate ethical considerations into its investment decisions, and an updated Statement on Investment Responsibility, which is a statement of the trustee's view of the responsible investment of the university's endowment and the “abhorrent and ethically unjustifiable” conditions under which an investment should be excluded from it. 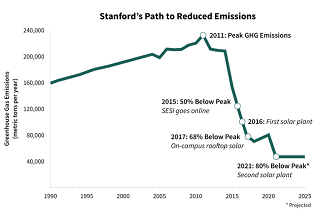 Stanford is also committing funding to expand academic offerings in the area of responsible investing and governance. The university's Board of Trustees recently adopted policies that balance the university's climate-related concerns with its fiduciary responsibility. The university will make no direct investments of endowment funds with companies whose principle business is mining coal for energy; existing investments will end with the funds' typical life cycles and then will be suspended for a three-year period; and the university's investment bodies will increase their focus on finding investments in renewable energy sources and technology. Additionally, the provost and president will prioritize support for Brandeis faculty and researchers working on climate change and related issues through the provost research fund. 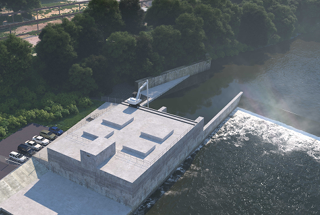 The university has signed a letter of intent to purchase 100 percent of the power from a hydroelectric plant to be built on the Allegheny River. The facility will generate about 50,000 megawatt-hours of electricity annually, which is enough to supply about 25 percent of Pitt’s electricity needs. The new program, “Global Solutions: Consciousness and the Challenges of the 21st Century,” engages students in projects that range from encouraging farmers and gardeners to grow extra food to contacting retailers to reclaim unsold food rather than having it go into a landfill. The Ray C. Anderson Foundation has awarded a $650,000 grant to Emory University to advance the Georgia Climate Project. This foundational grant will support efforts to build a network of experts who can improve understanding of climate impacts and solutions and better position Georgia to respond to a changing climate. 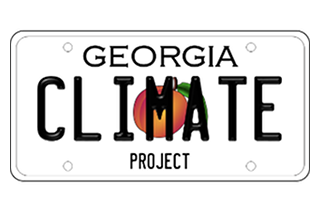 The Georgia Climate Project is a state-wide consortium co-founded by Emory, the University of Georgia, and the Georgia Institute of Technology, and joined by Agnes Scott College, Georgia Southern University, Spelman College, and the University of North Georgia. A new solar generating plant will enable the university to use 100 percent renewable electricity by 2021, the anticipated year of completion for the 88-megawatt solar photovoltaic plant. 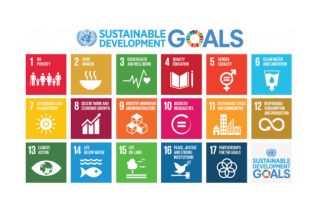 According to a new report by the Yale Office of Sustainability, 44 percent of its teaching and research relates to at least two Sustainable Development Goals (SDGs). 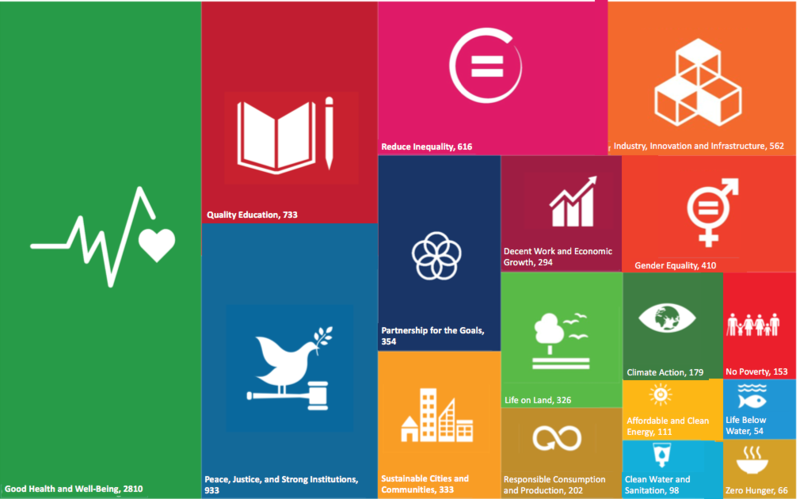 Using the database that was created for the report, the Office of Sustainability can generate multidisciplinary lists of faculty and researchers by SDG or by interdisciplinary interests. 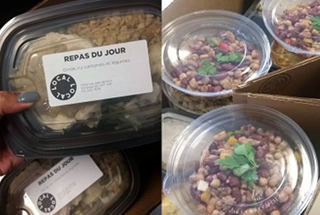 In an effort to reduce food waste, the university's food service provider launched a new project to sell meals, sandwiches, salads and other surplus food at cost to students living in residence. The new Sustainability Strategic Plan outlines the goals and strategies for 13 different objective areas targeting the university’s academic and medical campus. 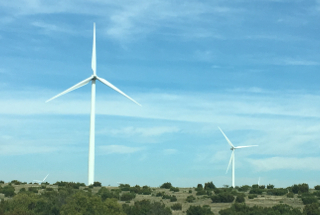 The plan commits the university to acquire 20 percent of the university’s energy needs from renewable sources of power and reduce greenhouse gas emissions by 20 percent by 2025. CSU Dining implemented a new initiative to reduce the amount of plastic and single-use waste generated on campus. 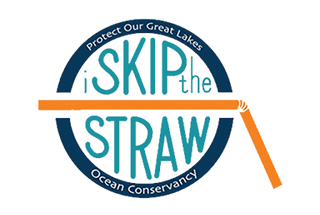 The “Skip the Straw” program, which began in early November, gives straws only for select beverages such as a smoothie. Most retail outlets will keep straws behind the counter and made available by request only. (Philippines) The university recently adopted a new environmental policy framework consisting of Environmental Principles, Policies, Guidelines, and Best Practices that will be implemented by its faculty, staff, and students as well as by concessionaires, booth operators, event organizers, sponsors and visitors. Nine components that the guidelines encompass are teaching, research, service, worship and fellowship, culture and sports, outreach, planning and development, administration, and operations. 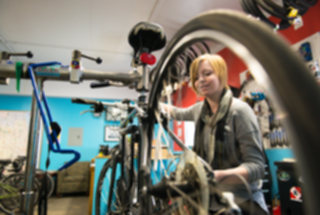 The college has launched a two-year degree in Bicycle Design & Fabrication. 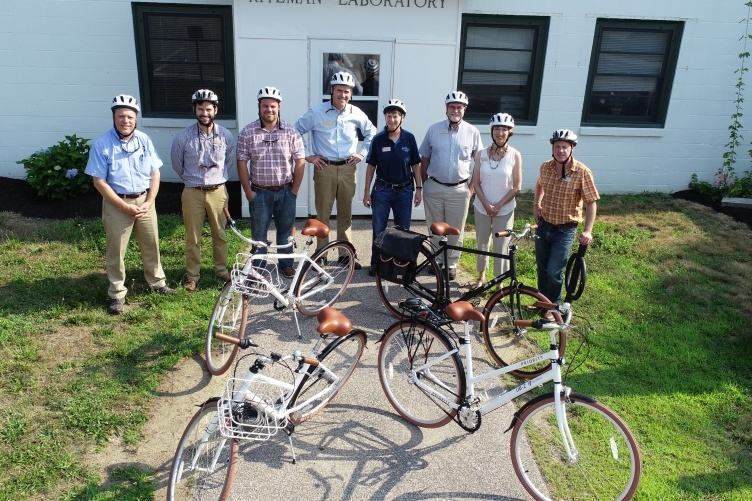 Students in the program will study the history and theory of bike design and take a course in physics as applied to the operation of bicycles, among other topics. 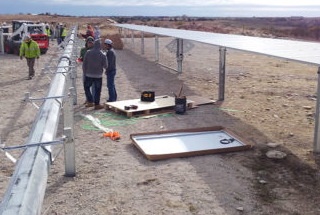 Students enrolled in the college's Solar Energy Technology program will install a 200-kilowatt photovoltaic array on single-axis solar trackers, which will increase electricity production efficiency. The system will be installed on campus-owned land. The university entered a partnership for a $14.4 million Campus Energy Reduction and Modernization Project throughout 31 campus buildings. Scheduled for completion by September 2019, the conservation and modernization measures include high efficiency LED lighting, improvements to the campus heating and cooling systems, water conservation measures, and automated controls that allow for improved tracking of energy consumption. Through a new partnership, UCLA and the Los Angeles Department of Water and Power will identify research that would move the city to greater use of recycled water, increase water and energy conservation and efficiency as well as electrification of the transportation network. The partnership also seeks to use and produce local water and strengthen climate adaptation planning. The University of New England, University of Akureyri and Holar University College signed an agreement to offer a new Professional Science Master’s degree program in Ocean Food Systems. The new degree will align with the Icelandic universities’ master’s in sustainable production and use of marine bio-resources. 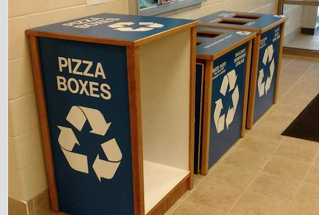 Because grease and food toppings on pizza boxes largely exempt the material from being recycled, the university began a program to compost pizza boxes. The initiative was spearheaded by Residence Life. As part of the the university’s first long-range, comprehensive Sustainability Plan, the university has signed onto the Sustainable Endowments Institute’s Billion Dollar Green Challenge, pledging to grow its green revolving fund for environmental efforts from $200,000 to $1 million by 2025. Other components of the W&M Sustainability Plan include a commitment to creating a climate action plan by 2020 and exploring renewable energy for the campus. Individual departmental efforts include elimination of single-use plastics by dining services and implementation of electric vehicle charging stations by transportation.